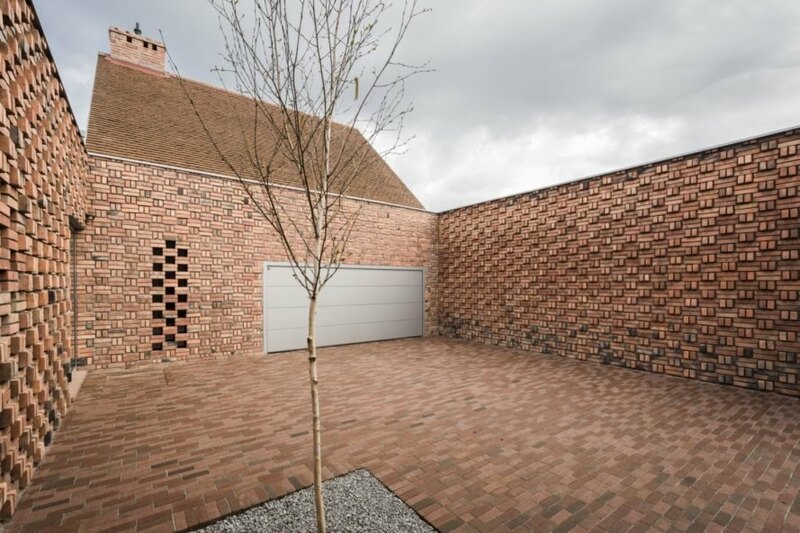 Environmentally friendly with a beautifully textured facade, this brick house built of recycled materials in Poland has been nominated for the European Union Prize for Contemporary Architecture – Mies van der Rohe Award 2019. Polish architecture firm Biuro Toprojekt designed the dwelling — fittingly named the Red House — that pays homage to the Cistercian landscape and history of Rudy Wielkie, a region in the Upper Silesia known for its brick architecture, with its walls built from hand-sorted waste bricks sourced from nearby brickworks. Roughly square in plan, the Red House is accessed through an outdoor brick courtyard that takes up approximately a quarter of the home’s footprint. The entry foyer opens up to a stairway leading up to a small upper floor as well as the L-shaped, open-plan living room, dining area and kitchen. The master bedroom is located to the south of the living areas. A large outdoor patio on the west side of the house connects seamlessly to the living spaces and the master bedroom through sliding glass doors. Biuro Toprojekt designed the Red House in a nod to the Cistercian landscape and history of Rudy Wielkie. The home uses recycled materials in its construction. 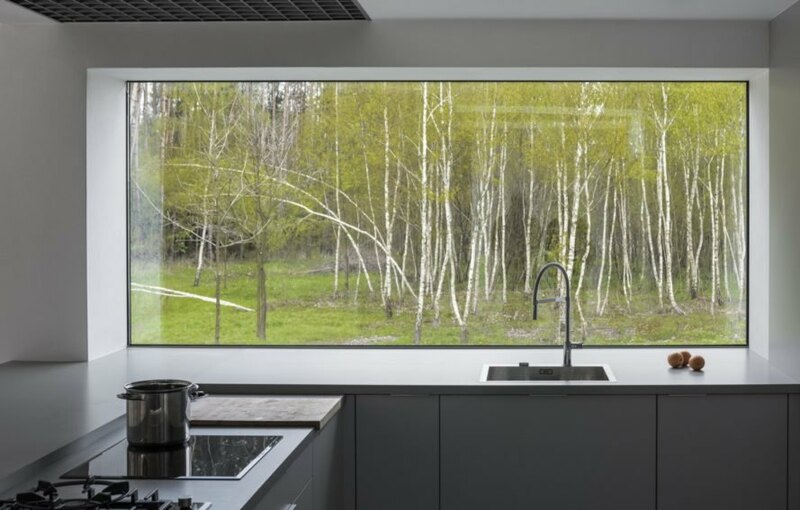 The home sits at a clearing along the edge of a forest. 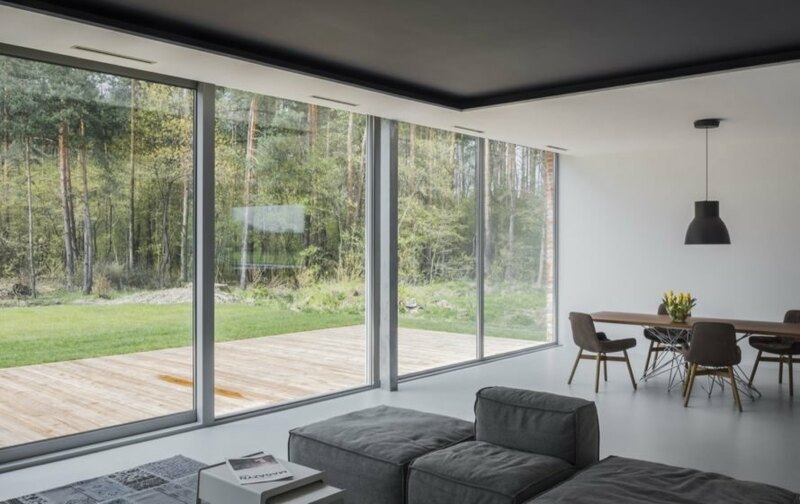 Expansive glass walls offer beautiful views of the surroundings. The foyer opens to a staircase that leads to a small upper floor. Outdoor patios welcome the residents into nature. The patio and glass walls blur the boundary between indoors and out. The home uses recycled brick and timber in its construction. The bricks were locally sourced from nearby brickworks. A brick-lined courtyard takes up about a fourth of the home's footprint. The home embraces indoor-outdoor living. The brick design is inspired by chiaroscuro, an art term describing the contrast between light and dark. The home has been nominated for the European Union Prize for Contemporary Architecture – Mies van der Rohe Award 2019.